What Are No Credit Car Loans? At their essence, no credit car loans are exactly what their name implies — car loans extended to individuals with either no prior credit histories, limited credit histories, or poor credit histories. Basically, these are people with low or no credit scores. You’ve seen the ads trumpeting “No Down Payment”, “No Credit Check”, and “Anyone Can Qualify!” But what do they mean? There has to be some sort of catch — right? After all, they can’t just be giving cars away — only Oprah does that. The fact of the matter is they aren’t giving cars away, and they aren’t being totally selfless either. 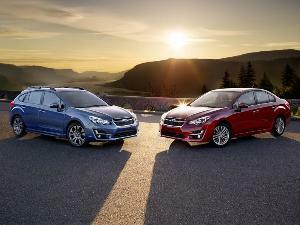 Those no credit car loans often come at a very hefty price. In a world where risk is expected to be commensurate with reward, the more risk you ask a lender to take… or said differently; the more risk a lender is willing to take, the greater they expect their reward to be. Still, there are some benefits to buying a car this way, just as there are some problems with buying a car this way. Any primer on buying a used or a new car typically addresses the importance of knowing your credit score — before you begin shopping for the car. Your credit score is (to quote the definition found on Wikipedia); a numerical expression based on a statistical analysis of a person's credit files, to represent the creditworthiness of that person. 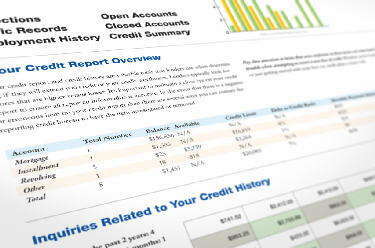 A credit score is primarily based on credit report information typically sourced from credit bureaus. In other words, whenever you buy something on credit — say with your credit card for example — a notation is made every time you make a payment, or conversely, don’t make one. In addition to the national credit cards companies like MasterCard and Visa, department store credit cards, gas station credit cards, telephone companies, utility companies, insurance companies, and the like all report your payment behavior to these credit bureaus. The largest credit-reporting company in the U.S. is FICO (formerly known as Fair Isaac Corporation). Thus you’ll often hear the term “FICO score”. By keeping track of your payment history; including the timeliness of your payments, whether you carry a balance, pay your account off in full every month, or if in fact you pay at all, reporting agencies assign a numerical value to the level of the perceived risk you represent. Some credit reporting companies also take into consideration your job history, income stability, and the impact of the economy on your ability to pay. By and large though, if you consistently pay everything on time and maintain credit card low balances you’re golden. You can get pretty much any loan you can demonstrate the ability to repay. Do the opposite, you’ll find yourself with a poor credit score. 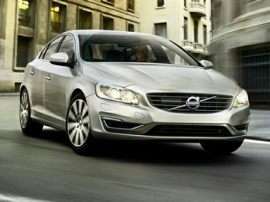 No Credit Car Loans: The Credit Score Contd. The FICO credit scoring ranges between 300 and 850, with 300 being poor credit and 850 being perfect. So basically, the higher your score, the better your credit, and the more likely you are to qualify for a conventional loan. A score of 620 or above will usually qualify you for conventional financing; anything below 620 places you in the subprime category. When shopping for a car, knowing your credit score ahead of time helps you determine how much car you can afford to buy. After all, if you’re looking at a high interest rate, you’ll be getting less car. This is because money that could have been going toward paying for the car is now being diverted into paying for the car loan. It’s important to note the interest rate you’ll be charged for the loan is directly tied to your credit score. The higher your credit score, the less interest you’ll be asked to pay, because you are perceived as a lesser risk. The lower your credit score, the more interest you’ll be asked to pay, because the lending institution assumes it is taking on additional risk in loaning to you. Similarly, if you have no credit history at all, you’ll be expected to pay a higher interest rate because you are, in essence, an unknown quantity. The primary advantage of a no credit auto loan is it gives you the ability to purchase a car — even if you have no, low, or bad credit. Let’s say you’re a first time car buyer and you’ve had no credit before. 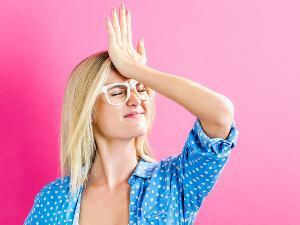 Checking your credit history will do no good. There's no way for a lender to evaluate your credit worthiness, so you’re being turned down for conventional loans. With a no credit car loan, you can begin to establish credit, so the next time you need something on credit, it will be easier to qualify (assuming of course you repay the no credit loan in exemplary fashion). On the other hand, what if you’re an individual victimized by the credit meltdowns of 2007/2008 and your car just died? You’re stuck, you need transportation, but your credit score is so bad, you might as well not have a credit score. The no credit car loan can put you behind the wheel, even if your credit score is bad. In most cases, these types of loans are referred to as subprime loans — yes, the same subprime loan concept that tanked the economy a few years back. Turns out though, on cars, the default rate is significantly lower, so lenders are still willing to take on less than perfect borrowers in these cases. Many experts attribute this to the fact cars are easier to repossess and resell. Additionally, people need cars to get back and forth to work, so they’re less likely to let car payments go south. Another influencing factor is that so many people have damaged credit these days, if lenders didn’t take on less than ideal borrowers, the industry would stagnate and potentially die. 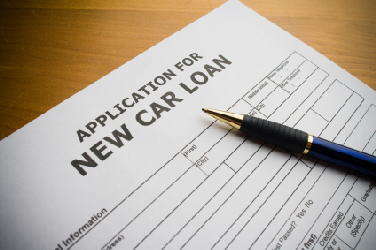 Another advantage of taking on an auto loan with no credit is the ability to acquire a car with no down payment. You can get into a car even if you have no ready cash — providing you can demonstrate the ability to repay the loan. The biggest con involved in a no credit auto loan deal is the price. As we’ve alluded to earlier, the more solid your credit history, the lower the interest rate you’ll be asked to pay. Conversely the more shaky (or non-existent) your credit history, the more you’ll be asked to pay in interest on the loan. So yes, it’s another case of those who can afford the most pay the least and those who can afford the least pay the most. Odds are if your credit history is soft you’ve got money problems, and so as penance for having money problems, you’re expected to pay more money for anything you finance. Long story short, auto loans with no credit are often the most expensive way to acquire an automobile. You can mitigate this somewhat by offering a larger down payment to make the loan amount less. But odds are, if you could afford to do that, you’d probably have good credit too — which means you’d have no need for this article. Another con of no credit auto loans is the fact that they just might be cons. As in con man, confidence trick, scam, Bunco, or whatever you choose to call it. There are unscrupulous individuals out there just aching to take advantage of ill-informed people. So, how do you know if you’re dealing with a legitimate company? Before accepting a no credit auto loan, investigate the lender through your local Better Business Bureau. Odds are, if a company is scamming, or at some point delivered poor customer service, the BBB will usually have a record of their transgressions. Often, running a search on the BBB Website will reveal complaints against a company, if any exist. P.O. boxes and email addresses are too easy to hide behind. If you’re asked for a lending fee, a “pre-approval fee”, or anything other than a down payment before you can get the loan, odds are you’re dealing with someone who isn’t on the up and up. By the way, down payments go to the seller, not the lender. Legitimate lenders make their money off the interest as you repay the loan. Anyone trying to get a chunk of money out of you up front — in all likelihood — isn’t planning to wait around for the delayed gratification associated with collecting interest payments. They'll take your "prepayment fees" and never come through with the loan. 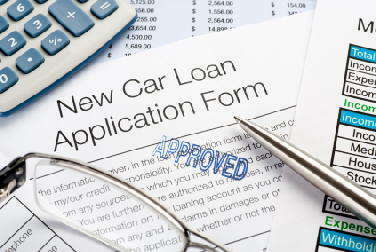 First time car buyers can “borrow” another individual’s credit history. A parent, a more well-established friend, a grandparent, or simply a guardian angel can be enlisted to co-sign a loan on your behalf. That individual agrees to assume the loan if you default. This, in essence, has the effect of making them your lender. A particular advantage of this is if they have really good credit, you can avoid paying the higher interest rate a no credit auto loan imposes. 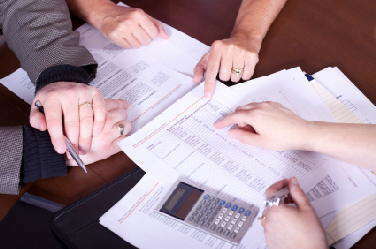 Plus, you’ll derive the added benefit of establishing a credit history for yourself. The downside is if you run into money problems and the loan goes sideways, your relationship with that person will be pretty much ruined too. Remarkably, something about paying off a car for you, a car they never wanted in the first place, has a tendency to sour people’s opinion of you. If you go the co-signer route, make sure you’re very solidly in a position to fulfill your obligation. 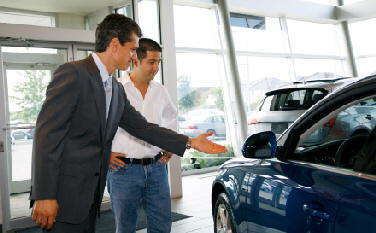 A similar method is to work out a private financing arrangement with a private seller, or a smaller dealer. 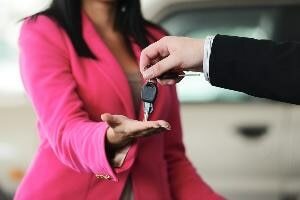 Often sellers are willing to retain title to the car and tote the note, if you’ll pony up some cash up front and can demonstrate a ready ability to pay. If you have something of value that interests the seller, you can offer it as collateral. If you’re in a situation where you have a lot of cash, or a very strong income — but no credit, you can sometimes negotiate a deal based on those assets. Student and/or military status can often get you special consideration for a car loan as well. 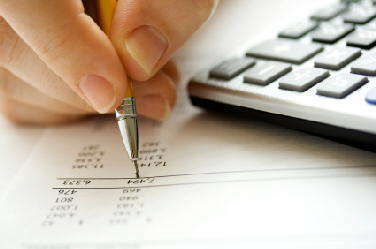 Many lenders are willing to be creative, if they have a reasonable assurance the loan (and the interest) will be paid. If you’re in a situation that might require you to go this route, to ensure your acceptance make sure you have a checking and a savings account, and the checking account does not have a record of being overdrawn. Department store credit cards and gas station credit cards can be useful toward establishing a credit history too. Do everything you can to keep them in good standing. 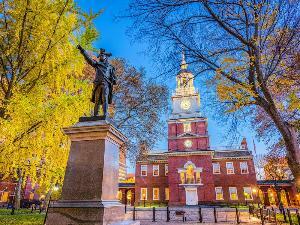 A good job history and a steady income are important. If you’ve only been on the job a few months, it’ll be difficult for you to be taken seriously for any kind of loan. With so many people having credit problems these days, the no credit auto loan is enjoying a considerable amount of popularity. If you’re diligent about doing your homework and making sure you can repay the loan, getting an auto loan with no credit can be a good step toward establishing, or re-establishing credit.